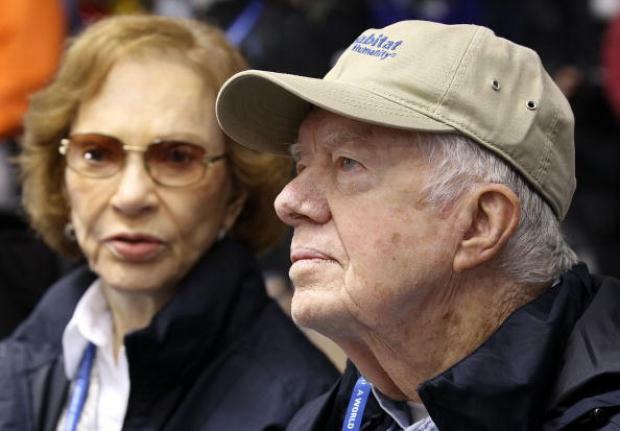 President Carter Pitches in to Build Homes in D.C.
Jimmy Carter Helps Build Houses in D.C.
Former President Jimmy Carter strapped on a tool belt Monday to help build and rehabilitate homes in northeast Washington, just days after a viral infection landed him in a hospital. 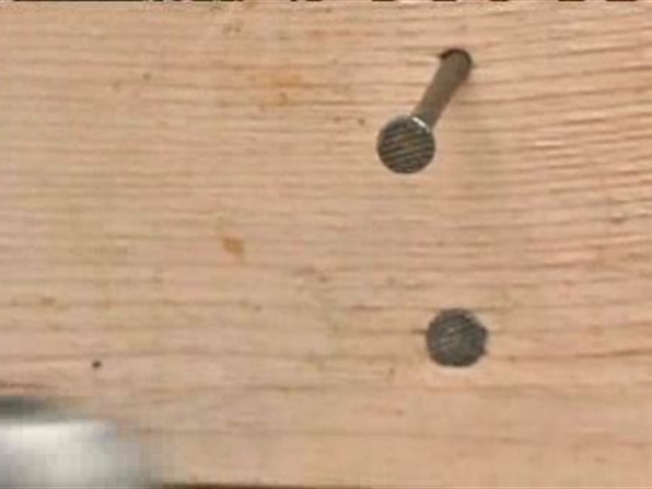 Carter and former first lady Rosalynn Carter joined Habitat for Humanity volunteers in hammering nails and hoisting new home frames into place in the Ivy City neighborhood. Wearing jeans and sneakers, the 86-year-old Carter told reporters that he's "perfectly OK" after spending two nights in an Ohio hospital last week, adding that he was only sick the first day of his stay and that the second day was devoted to medical testing. Rescue crews had rushed Carter to the hospital after he became ill during a flight from Atlanta to Cleveland. This is Carter's 27th year volunteering for Habitat for Humanity, he said. He plans to continue doing the work as long as God lets him. Carter worked roughly 45 minutes building half of a duplex home for 28-year-old Kiona Mack, an administrative assistant, accounting student and single mother. Mack told reporters she will always tell her 3-year-old daughter and 7-year-old son that they live in a three-bedroom, one-bath duplex home built by the former president. "He's such a good person," she said. "Even at his age, he's out doing things like this." Carter, who was frequently grinning Monday, laughed off a question about how he was maintaining a positive attitude despite the rain and recent illness. "I have a lot of warmth around me," he told The Associated Press. "I've got a lot of people supporting me and giving me thanks when I don't deserve it." The event marked World Habitat Day and the annual Habitat for Humanity Carter Work Project. Habitat for Humanity plans to build six homes and rehabilitate another six in the neighborhood, a largely industrial area where the average family income is $18,000 and only 12 percent of residents are currently homeowners, according to Habitat officials. It's one part of a project to construct or repair a total of 86 homes -- in honor of Carter's 86 years -- in Washington; Baltimore; Annapolis, Md. ; Minneapolis-St. Paul; and Birmingham, Ala. The organization works with low-income families who are willing to help build their own home and homes for others. Families are expected to repay the no-profit, no-interest loan they receive for their homes.